If you’re like me your Christmas sewing is planned and prepped. Fabrics purchased, patterns trimmed, and time has been set aside for day after day of sewing fun. 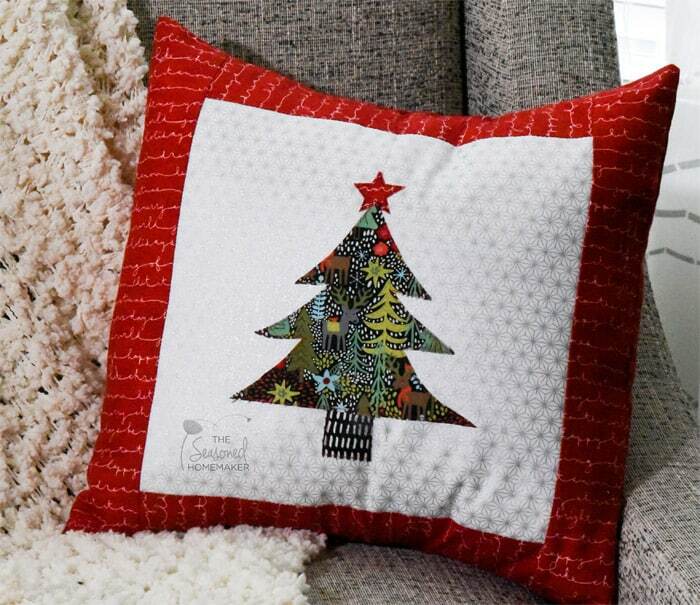 In truth, if you’re really like me then you haven’t given Christmas sewing much thought. And, if you did think about it, you probably got depressed because you have dreams this year of making something that your family will cherish that becomes part of your Christmas traditions. You don’t want to put off Christmas traditions one more year or they’re never going to happen. Instead, make something something fast and easy now. Forget about perfection and look forward to finished. I truly believe that holiday sewing is more than the finished product. It’s about the experience. At some point, we started believing our Christmas projects needed to be a grandiose sewing accomplishment. In reality, your family will cherish something handmade that says tradition. It’s all about finding the right project. What you need is a simple solution that allows you to start AND complete handmade treasures while still living your everyday life. You want to make something unique for your family. And, you don’t have a ton of spare time. 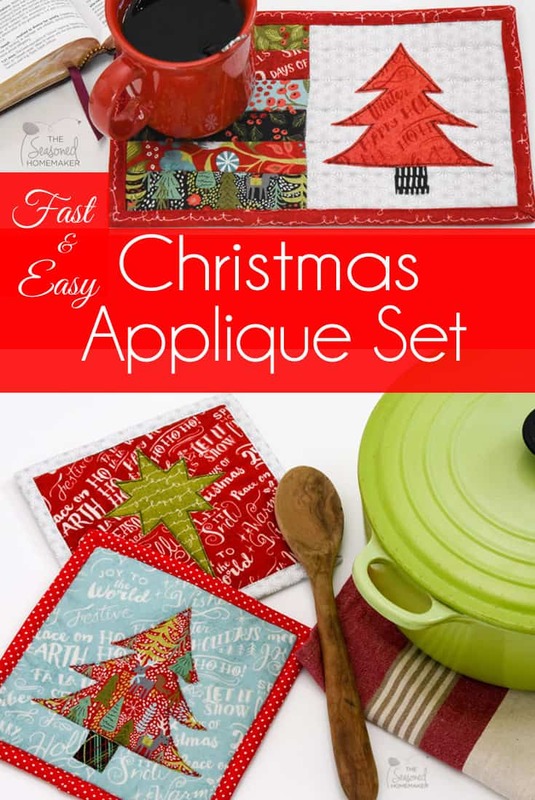 Introducing the Fast & Easy Christmas Appliqué Set. A simple appliqué design set that’s perfect for busy people who love to create and easy enough that your children can sew along with you, no matter their age. Uses scraps and saves you from having to go out and shop for fabric. Can be printed directly onto a fusible web product (affiliate) so you don’t have to trace your designs before appliquéing. Kids can participate ~ no matter their age. 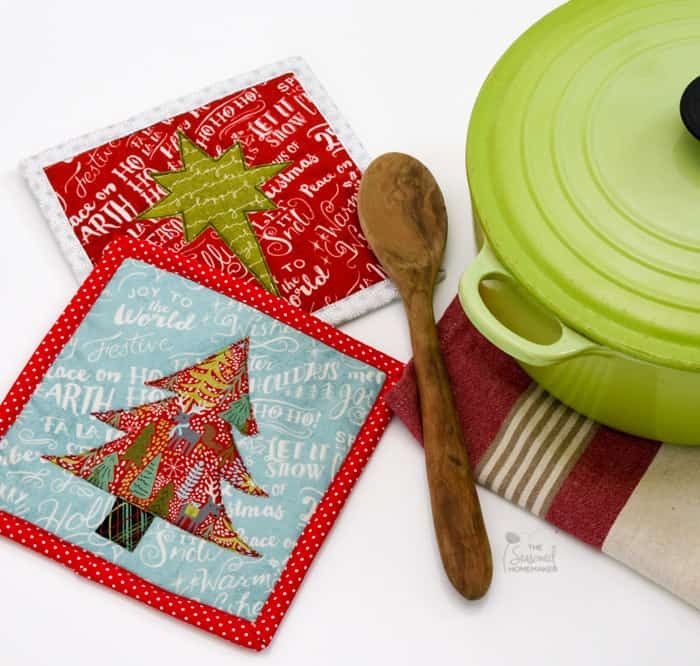 Is Simple enough to be appliquéd onto ready-made items like kitchen towels, hot pads, baby bibs, etc. Can be customized to fit into your family traditions. Isn’t only for appliqué. The set is ideal for making simple things like ornaments or gift tags by printing the design shapes onto paper. As a BONUS I’ve included the entire set in SVG format for those of you with a Silhouette or Cricut. Will get finished. That’s right. No UFO’s here. This appliqué set is fast, fun, and easy. Is perfect for last-minute gifts. Are you ready to start the holiday season by making a memory? It’s that easy. You’ll have started and finished a few projects before others begin their holiday shopping. And best of all, friends and family will know you were thinking of them. And isn’t that the best gift of all. Watch the short video below and check out my eBook, Appliqué Made Easy: A Beginner’s Guide to Simple Appliqué Techniques. I’m so thankful you made this for us! 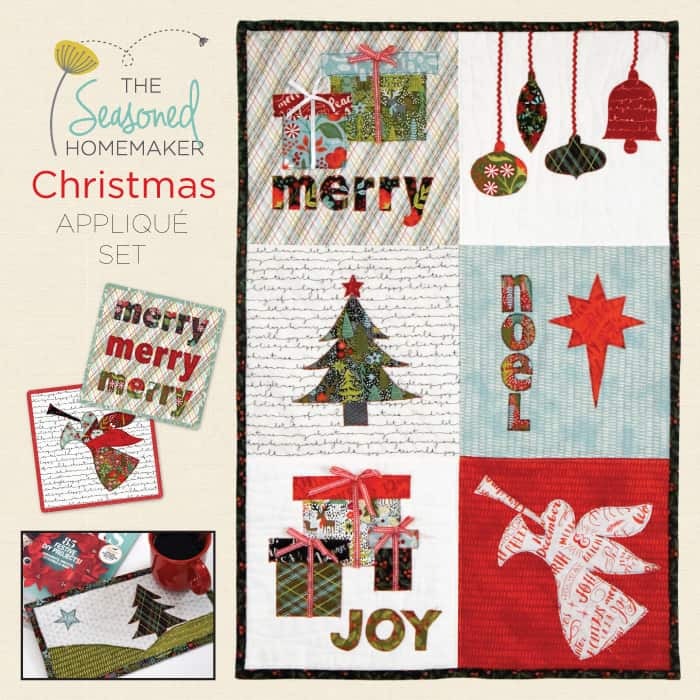 Just the other day I was looking through some of my holiday quilting magazines trying to find a new decor piece to make for Christmas that I could get done before December. Ultimately I want to sew a Christmas quilt but that won’t happen this year. So instead I got all but one appliqué piece cut out for the 6 squares wall hanging to go over a metal sign that is on the door to our garage. I’m excited to get home from work and trace and fuse and cut out the last appliqué and then start working on the blocks! Isn’t applique so much fun! I could do this all day long.